Gangster fish have made the Krusty Krab their hangout--and it's up to Mr. Krabs and SpongeBob to figure out a way to get rid of them! Must they resort to…Patrick the Hypnotist? Find out in "SpongeFellas!" Then in "Not So Great Expectations," take a trip to Blockville--the lamest, most decrepit theme park on the ocean floor. Surely NOBODY could enjoy a visit to…oh, wait, here comes SpongeBob. Never mind. 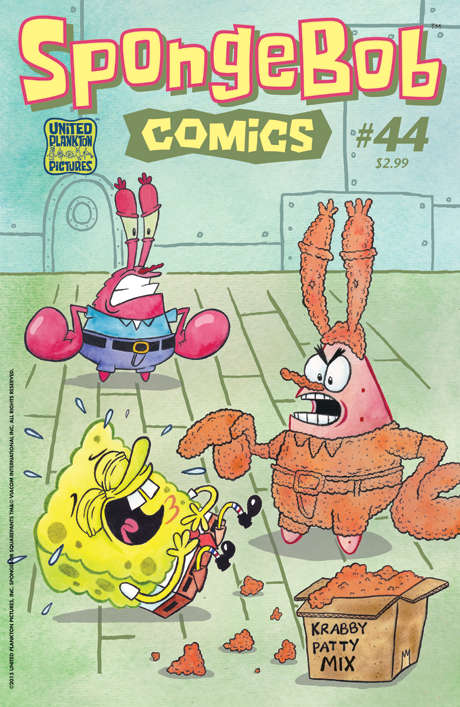 Plus Spongey comics by James Kochalka, Brian Smith, Maris Wicks, and more!